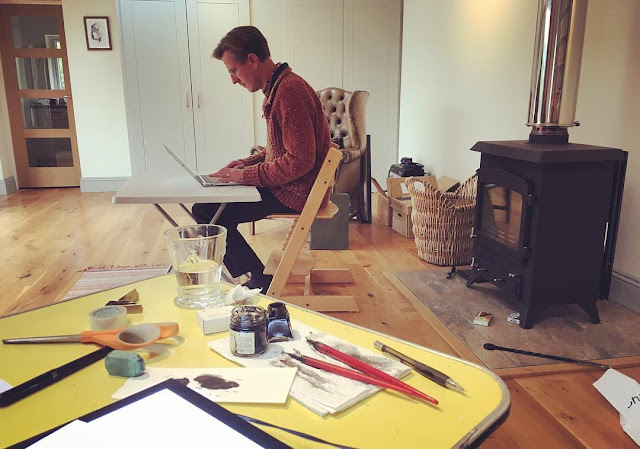 Philip Reeve has announced a sequel to "Naughty Nimrods!" Last year's release of Naughty Nimrods by Philip Reeve was a welcome return to the realm of Mortal Engines. Naughty Nimords was a tour de force of literary discourse from Reeve as he opened up the Mortal Engines world a bit more by showing us the fabulous life and times of Professor Nimrod Pennyroyal. Now, Reeve has announced that a sequel will be released next April called 'Naughty Nimrods Go Bananas'. "I was delighted to go back and have another crack at a beloved character and his family. Nimrod is such a naughty yet fun kind of character - the kind of joker you want at a dinner party and you don't mind when he drinks all your wine. Yet, underneath his waistcoat is a seriously sharp mind but one poisoned by years of cashing cheques his own ego cannot cash." "Naughty Nimrods Go Bananas is intended to be a simply bonkers mad kind of a name. I was thinking about Herbie goes to Montecarlo and I just knew I had to get some kind of reference to one of the greatest film series ever into the title." This makes a lot of sense as Reeve often uses pop culture references in the Mortal Engines books. This is a delightful bookend to the news that came earlier today that Stephen Fry is to play Pennyroyal in the film sequel to Mortal Engines! Naughty Nimrods Go Bananas is to be published on 1 April 2020.